The season of baking is upon us! 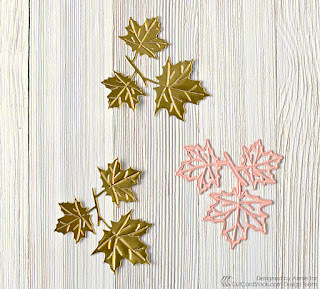 Looking for a quick and pretty way to package some little treats this fall? These autumn cookie pouches are a great small gift for friends and neighbors or would make a cute party or wedding favor too! 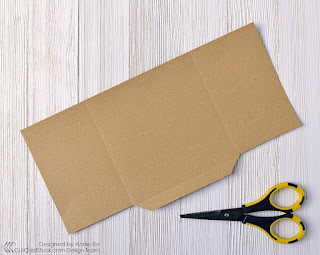 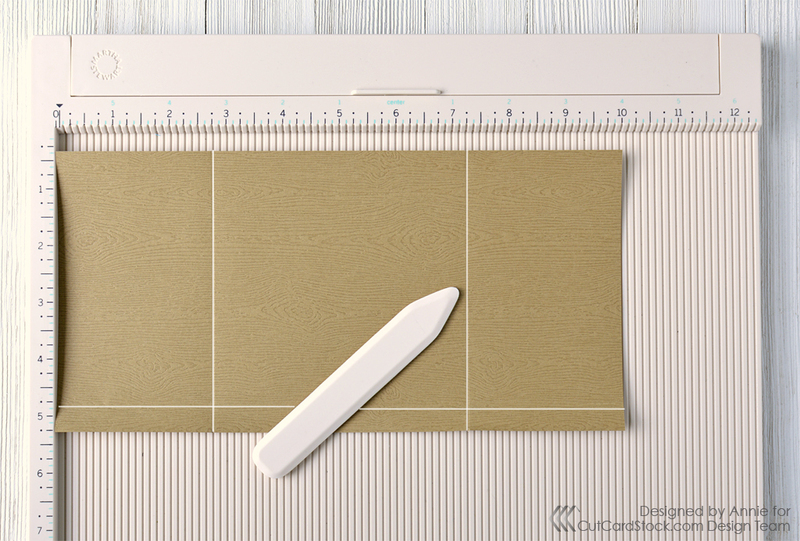 Using the score line as a guide, trim away the 0.5" of cardstock beneath each side panel with scissors as shown. Cut the edges at an angle in the center to form a tab. 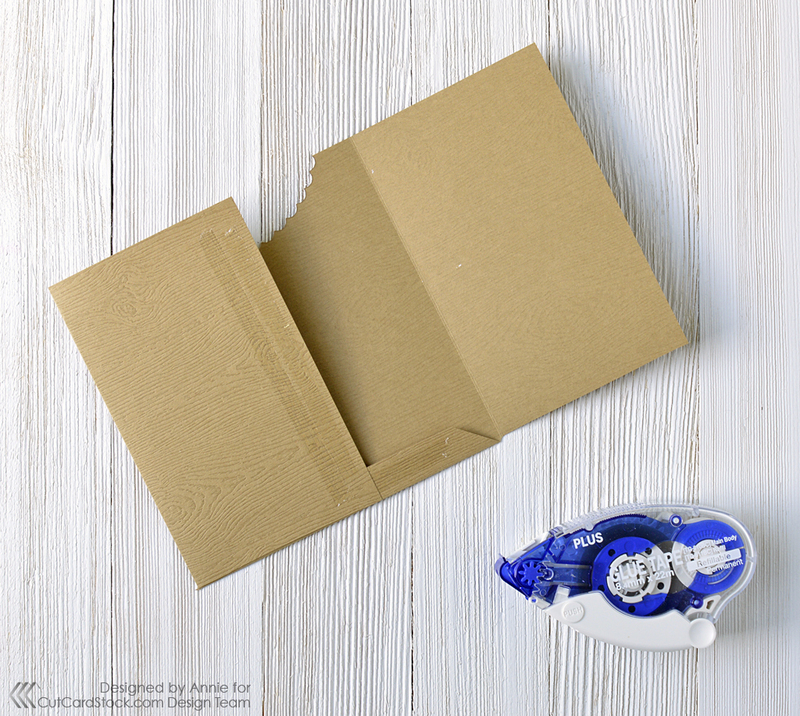 Using any oval die, die cut a small opening at the top of the center panel by placing the die just halfway over the cardstock before running it through your diecutting machine. 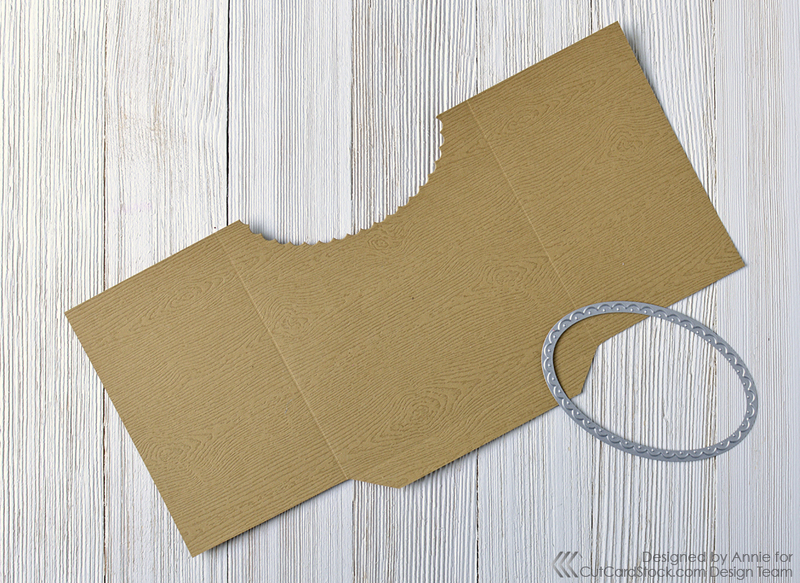 To assemble the pouch, fold the cardstock along its scored seams and apply tape runner to the bottom tab as shown. Fold one side of the pouch inward and apply more tape runner to the center edge before folding the other side closed. 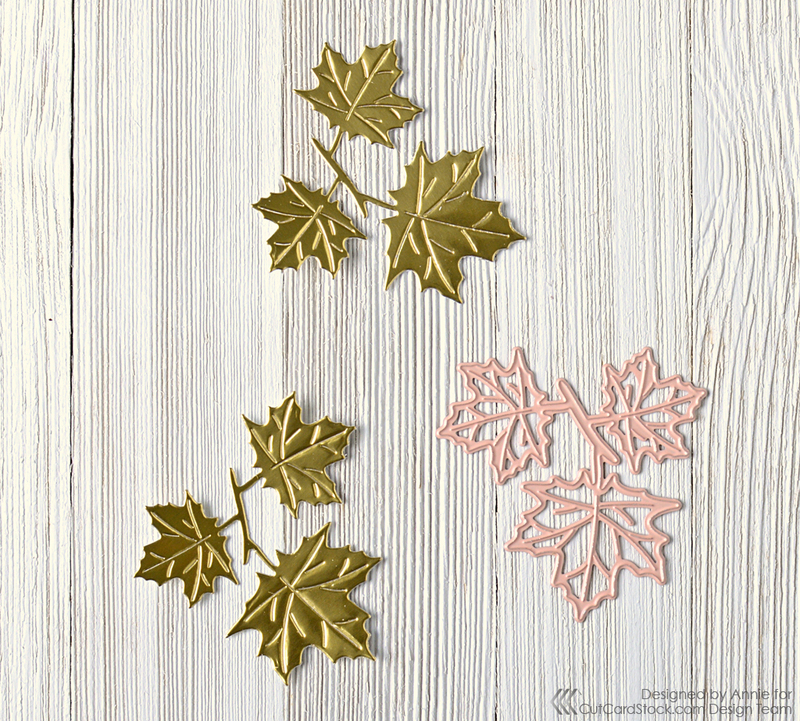 Die cut bunches of fall leaves from Gold Bright Foil Cardstock. 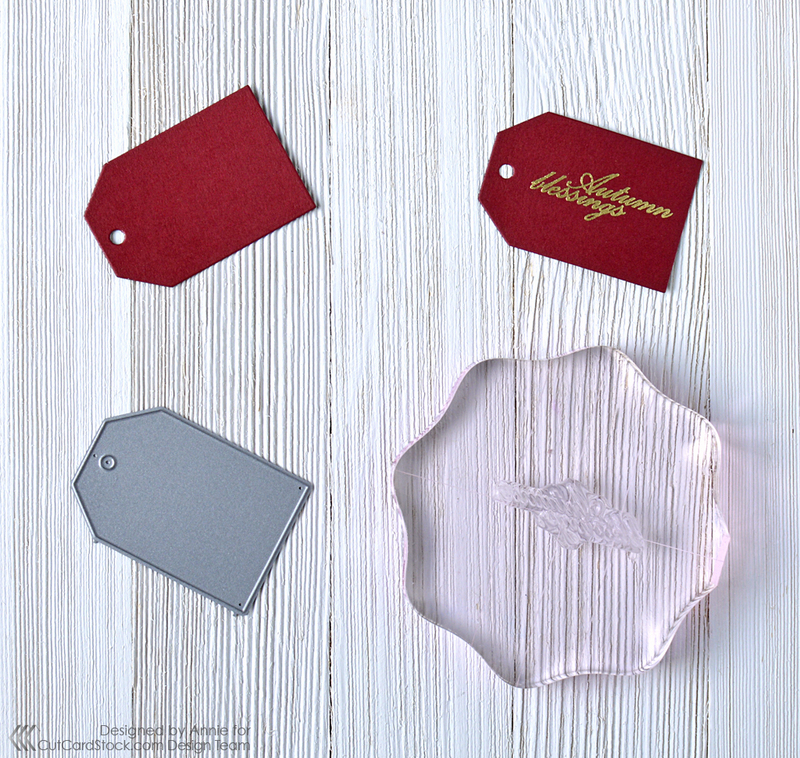 Die cut a small tag from Basis Dark Red Cardstock. 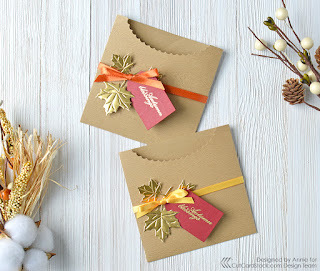 Stamp an autumn greeting in Versamark ink, cover with gold embossing powder, and melt with a heat tool. 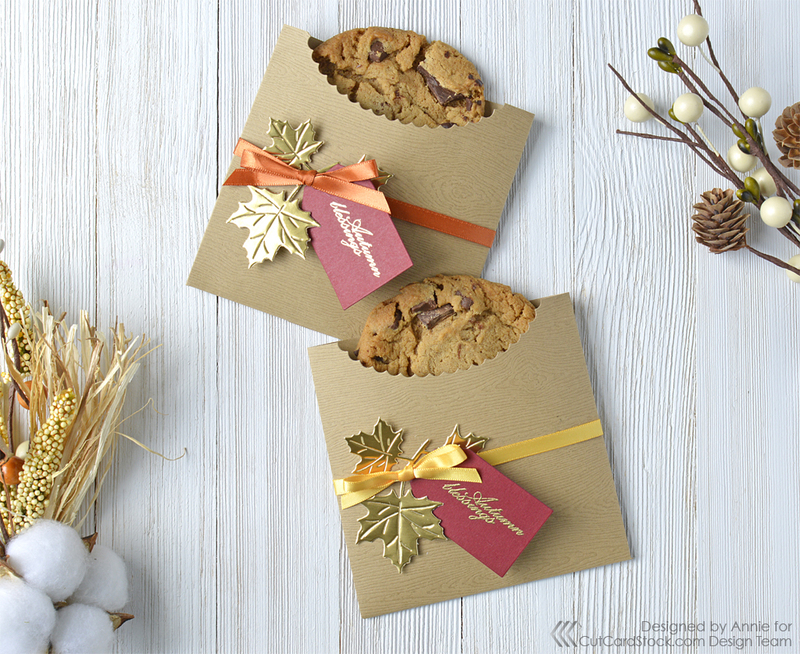 Use orange or gold ribbon to attach the leaves and tags to the center of the pouch and fill with delicious treats for your recipient! I hope you enjoyed this easy handmade cookie pouch project and thanks so much for stopping by today. Be sure to visit the CutCardStock Store to purchase any of the supplies showcased today and remember that orange, gold, and brown cardstocks are on sale this month!